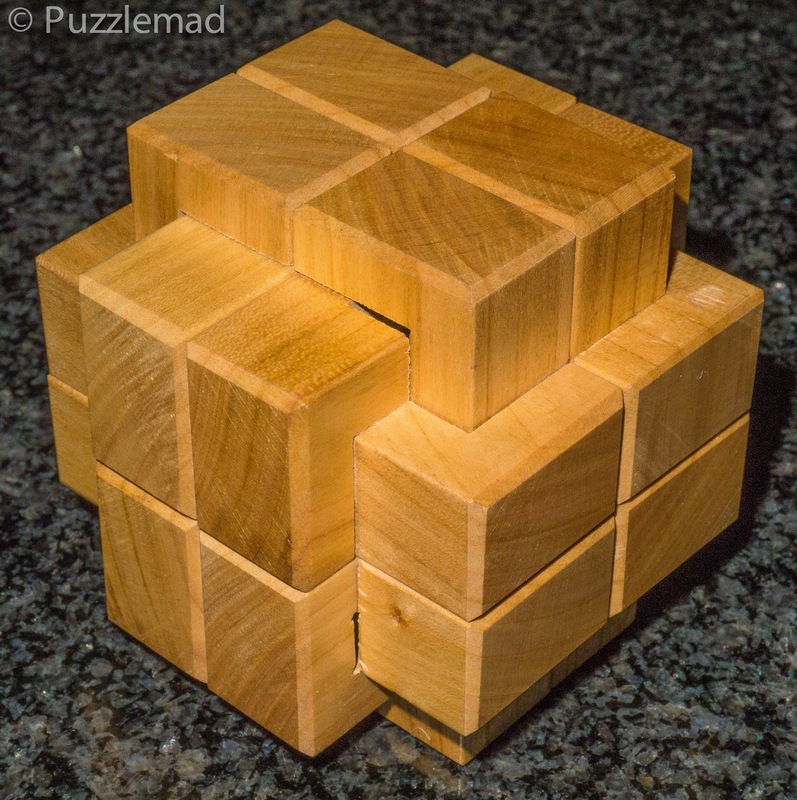 Puzzlemad New Additions: Got me some wood!! I couldn't resist it! I got another delivery from Stephan Baumegger. 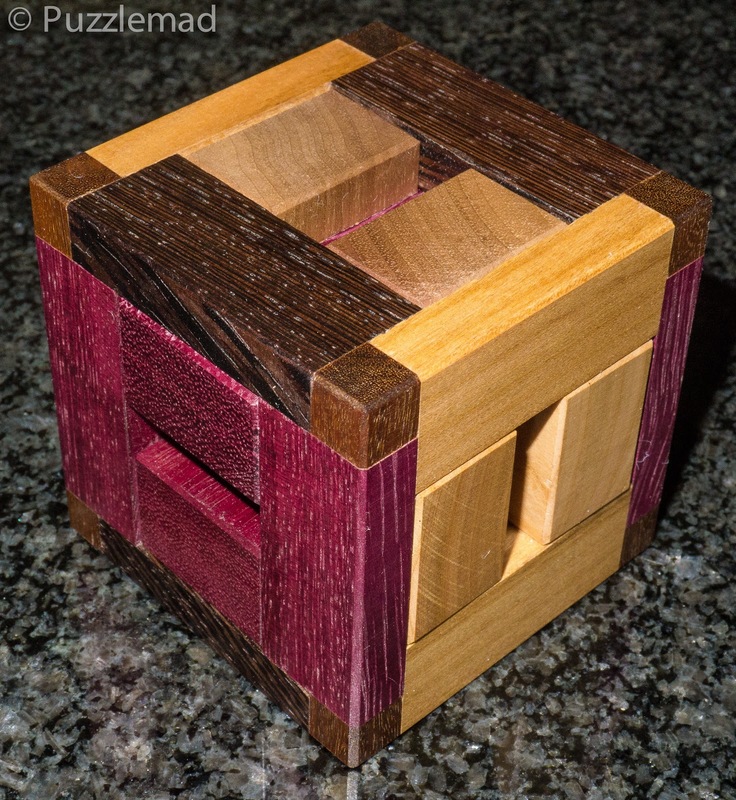 His workmanship is superb and puzzles can vary from just plain tough to horrendously difficult! This one is Rush Hour - it is a 6 piece burr in a frame but the frame has centre pieces - very unusual! Another 6 piece burr but without the centre divides allowing more movement. Not sure if that makes things easier or harder. 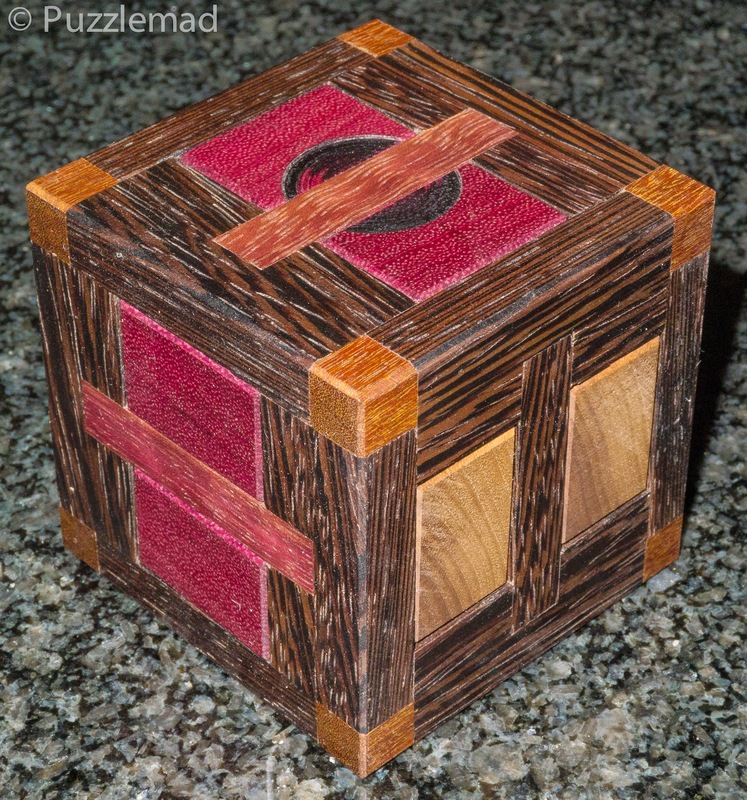 This looks like a standard 12 piece burr but inside there's a camel! Yes a proper camel which has to move through the burr as it opens up - ingenious! I'm looking forward to this one.